The Katawa Shoujo Japanese translation team seems to have become a permanent fixture for the Comic Market at Tokyo Big Sight. For the Comiket 83 happening in next month, they'll be once again participating. 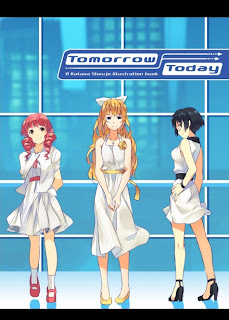 This time their new sales item is the Japanese edition of Tomorrow/Today, which was originally released at Los Angeles' Anime Expo in June this year. You'll find us on the third day (31st December) in East Hall 2, table T-08a right along one of the main hallways. If you're in Tokyo around New Years, come and say hello!